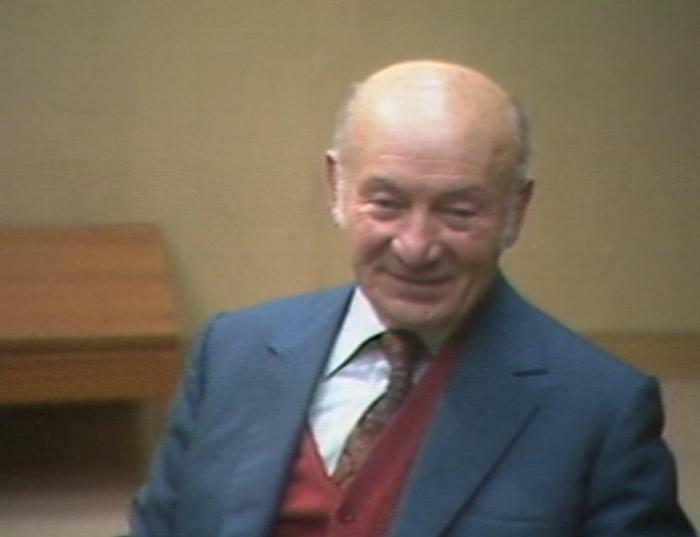 Still image from Boris W. Holocaust testimony, October 26, 1983. SynopsisBoris W. was born in Lwów, Poland (presently L’viv, Ukraine). He describes living in Zalizhtsi and the community of Jews and non-Jews. He recalls Soviet occupation in 1939 and a Soviet official staying with his family. He recalls the German invasion in June 1941 and subsequent round-ups of Jewish men. He describes briefly working for the army before going into hiding with his wife in a forest bunker. Boris recalls several incidents of discovery, escaping and hiding. He describes being transferred to a concentration camp from which he also escaped. He recalls finding his father and wife in hiding. He discusses his brothers’ and fathers’ deaths during the liberation of the area by Soviet troops. Boris discusses antisemitic attitudes while enlisted in the Soviet military. He recalls returning to Lwów, moving to Krakow and emigrating to Israel in 1959. He also discusses his later immigration to Canada.